All smiles after the competition! ADNZ Ben starting whining at about 2.30am. He NEEDED out please, the poor guy had diarrhea. At least he was giving us some notice so we didn't get a huge bill for having to clean the motel room. My partner and I then took turns during the rest of the morning until it was time to head to the comp. Needless to say but I didn't get a huge amount of sleep. Our best guess is that he'd snuffled up some climbers chalk, he'd done that once when I was running VertX, he had diarrhea for a couple of days and came right. Our plan for the day was to leave him in the car (ventilated and with water) with my partner checking on him very regularly to toilet him and make sure he was getting enough water. I thought I was nervous on the Saturday, well I was more nervous for finals, which is to be somewhat expected. Finals is definitely another level up from Qualification rounds. In finals the routes are covered and as competitors we have "isolation", which means we can't study the climbs for a long period of time. Isolation is separate from the main competition area. For finals you get 6 minutes "viewing time" then you go back into "isolation" until it is your turn to climb so you cannot gain an advantage by watching the other competitors. Competitors climb in reverse order of rankings. As with the qualification rounds you have one attempt and 6 minutes. To make things a little easier for us paraclimbers the decision was made to run us before the rest of the competitors in the afternoon finals, this was to ensure that we didn't get rushed past or knocked over by competitors rushing out of their isolation to their final as our route was near the isolation area and on the way to the other final routes. We had our main isolation area just off to the side of where our route was located, it was decided that our isolation during the final was for us to sit with our backs to the route about 4m from the route. It also meant that all those that could (not in isolation themselves) were watching us. 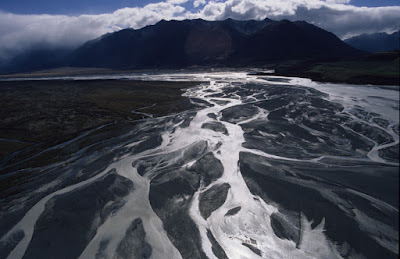 Being ushered out of isolation and into our viewing I found the nerves dropped away and it was game on. The route started on the vertical, onto an overhang then onto vertical again on the head wall to the top. It had some left going sections, some right headed sections, and near the top there looked to be a couple of really stretchy gnarly moves. 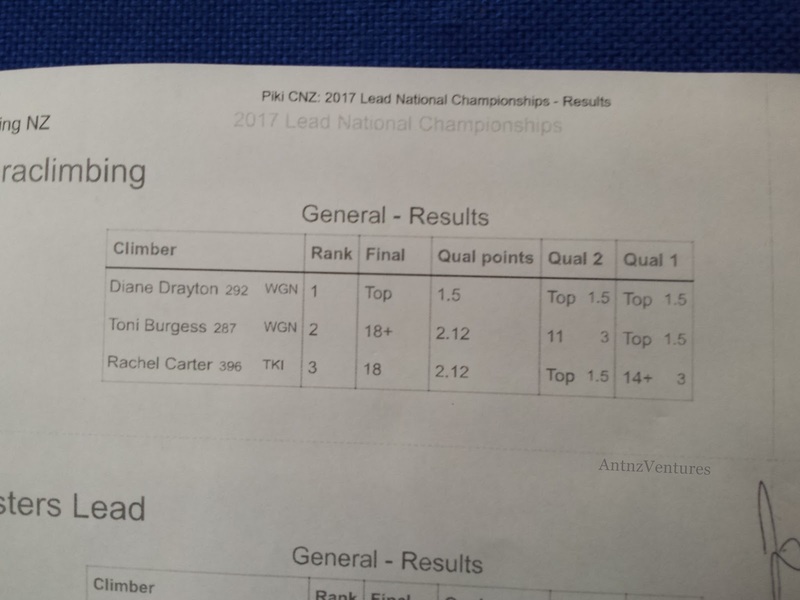 Going into finals ranked second meant I climbed second as Rachel climbed. I found "isolation" really hard. The temptation to turn around to watch and cheer on Rachel was hard to resist. I was also trying to visualize my route plan in my head while I waited for my climb. I could hear the crowd, could see the expression of the judge out of the corner of my eye and Diane I think was trying to distract herself by chatting to me while we were waiting! The anticipation built as Rachel made her way up the wall, until all off a sudden there was the collective sigh as Rachel came off. It was then my turn to pull on and try to top out. I took a deep breath and made my way to the wall. Desperately trying to remember my plan I clipped in, handed off my crutch and stepped up to my start position. I tend to start my climbs with my "bad" foot already on a hold, that way I can pull up with my arms, pivot off my "bad" leg, find the best position for my "good" leg and be able to power up. I throw my bad leg into the start position with my hand and hear from somewhere in the crowd "oh hey she's starting off her bad leg." I'd had lots of conversations about how I climb during the weekend so I'm not surprised someone noticed, but it was definitely off putting. Another deep breath, time to steady myself, pull on and give it a good burn. The first part of the climb felt pretty comfortable. I managed to squeeze out a little bit of a rest and some time to chalk up before hitting the overhang. Overhangs in general are one of my weak points and I made a conscious effort to think about my hip positioning and took my time to make sure my foot placements were good before I loaded up on them (I learnt from Q2!). On overhangs there is a balance of moving quickly not to burn out, but needing to pace yourself for accuracy and positioning. I knew once I got up to the head wall things would be slightly easier until the nasty looking stretchy moves near the top. At the top of the overhang there was a bit of a nasty reach and gap to a somewhat sketchy hold. My legs were beginning to feel like lead and felt like they were losing power, they weren't quite spasming yet, but felt like that was coming, as I was giving it my all. I tried to take a "rest" and chalk up on the last couple of nice jug type holds before the sketchy hold. This rest didn't last long and I could feel my forearms starting to burn and pump out. The final hold on the overhang looked way smaller than I felt comfortable with at this point, my plan was always going to be to try and dyno (dynamic movement or jump for you non-climbers) to that hold, due to my height. As my forearms burned a phrase from Shawna Coxley in a interview a few years ago came to mind, "If you are going to bail, bail upward." and I lined it up and went for it. I jumped, and missed, that was the end of the competition for me. I got lowered to the ground, and although I wanted to stand my legs weren't co-operating, I tried to stand for a second time and my legs just folded underneath me, my apologies to Doug the belayer, who was trying to release enough rope when my legs folded! My final effort of the competition. It was then I asked how close I was to the hold, apparently I was pretty close, it was then I learnt that Rachel had also reached the same point on the climb. In competition climbing all the holds are numbered, and you "get" the hold when you are firmly in control of that position, if you make "positive" movement towards the next hold you get a score of the hold number + (eg 12 for the hold, 12+ if you were making positive movement to the next hold). Rachel had also been reaching for the hold I was jumping for. It was going to be a judges decision for this position, and Diane was still to climb! Diane in her usual smooth, cool, relaxed fashion looked to cruise her way to top out this climb as well. 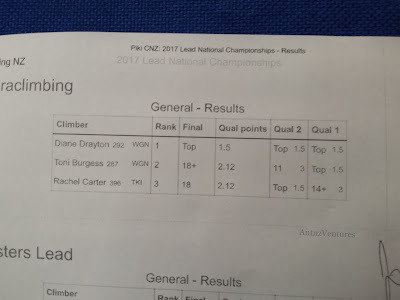 Congratulations to Diane Drayton, NZ's first gold medal winning Paraclimber, you climbed really strong and totally earned the place! Being a judges decision for 2nd and 3rd meant we had to wait for awhile for the posting of the places, as our results were being processed at the same time as the Masters category. This meant not only did we have to wait for the judges to make their decision but we also had to wait for the Masters category to be completed! 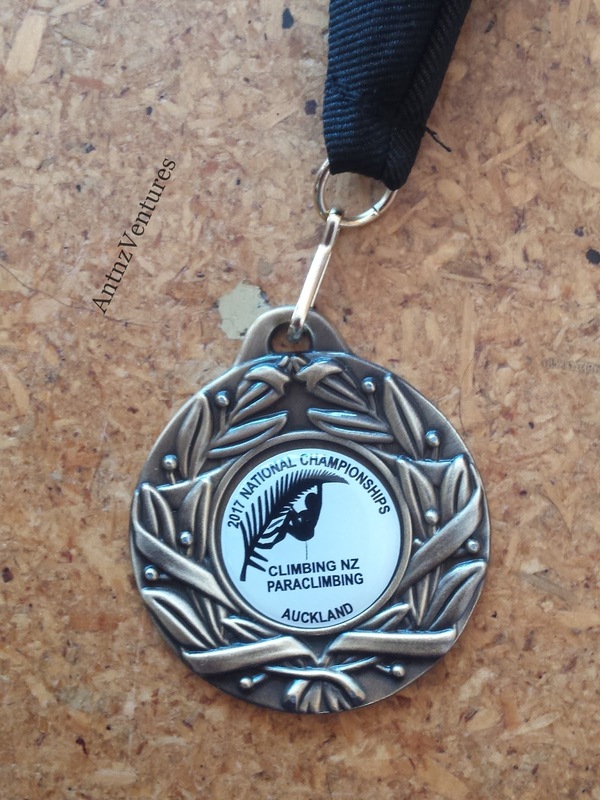 It was at about this point I actually realised that we had made a little New Zealand competition climbing history. We'd just competed in New Zealand's first Paraclimbing competition. We took a bunch of selfies and pics and sat around chatting, I was trying to distract myself from the fact that we were still waiting for results. 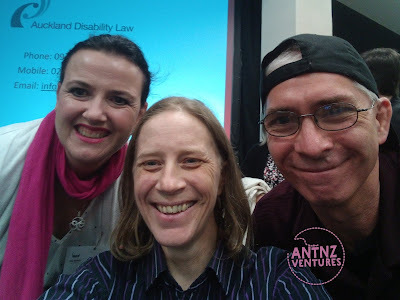 I was sitting chatting to someone about the event, and passing off the "media duties" to Diane, when my partner came up and asked me if I had seen the results yet. Did she tell me the results?? No, I had to go and find out for myself. It was so so close, just a "+" in it, apparently it was not an easy call for the judges to make. The fact that I jumped for the hold meant I had more "positive movement towards the next hold". Rachel, it was an awesome competition, you are amazing, you have the best flagging technique I have seen and it was an honor to compete against you. Game on for next year! 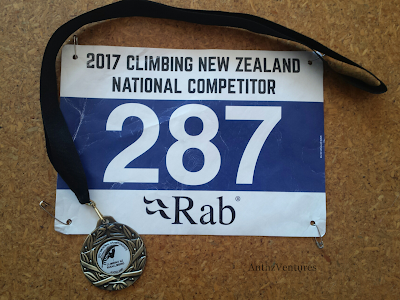 With this year being the first Paraclimbing competition, and not being sure how many categories we could be running Climbing NZ ordered us all Gold medals! Unfortunately our camera malfunctioned for the prizegiving and we didn't get pictures. The podium was kind of amusing, small podium area, large steps and wobbly walkers. When we were all up in our "places", Rachel says "I'm sure this is an OSH nightmare, did anyone do a RAMS (Risk Analysis Management System) form for this?". A fitting end to an amazing competition! 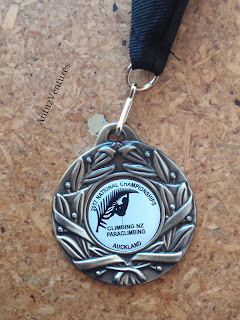 To Auckland Sports Climbing Club, Extreme Edge; Glen Eden and Climbing NZ it was awesome to be a part of the National Champs! Thank you for making it as easy as possible for us at the competition, we had a blast and I'm definitely looking forward to next year! A shout out to Pete, Ian and the rest of the route setting team, you set us some awesome climbs! Again I'd like to thank everyone for their support getting to this competition. 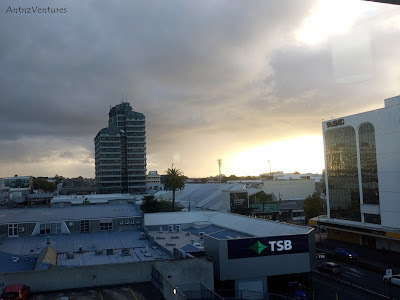 In particular VertX Climbing, massage.co.nz and Hawkes Bay Vapour; Palmerston North for their ongoing and continued support. Huge thanks and gratitude for those who donated to this trip! A big shout out to Sian Moffitt Photography for the use of your images! I'll be doing one more blog in this series. My final thoughts and our quick trip home coming soon!